Another game, another point for the Iron – now taking the draws tally to 3 on the spin and 9 in total for the Iron. And despite understandable glee for Oliver Norwood’s first ever professional goal – any picture that shows us still sitting 16th in the table is the only one that matters. It is not the games against Huddersfield that will decide whether or not Scunthorpe United are successful: but it is indicative of a pattern that will have all concerned a poisonous mix of enthralled, relieved and frustrated. Missing 2 penalties against a side as good as the Terriers is suicidal – and as professional athletes: almost criminal. Chris Dagnall did brilliantly well to bounce back and rescue a point for the Iron – but us taking a point reminds you rather of someone pressing the self-destruct button twice. The fact they crawled to the bomb shelter just in time is more than welcome: but it shouldn’t have been bloody needed! And post Daggers’ 88th minute equaliser: the rather muted celebrations from the Scunny players said it all in terms of their relief regarding the outcome, rather than joy. It was an unchanged Scunthorpe United starting XI that took on Lee Clark’s unbeaten men: with local lad Sam Slocombe continuing to deputise in goal for the injured Sam Johnstone. The Manchester United loanee is still suffering from his dislocated finger – and will thus be assessed in training come Thursday morning. It is anticipated that the 18 year old will be declared fit for the Tranmere game this Saturday: but whether or not he displaces Slocombe is another matter. Thus the back 4 was also again Sam Togwell, Shane Duffy, Paul Reid and Eddie Nolan. In front of them were the quartet of Mark Duffy, Michael O’Connor, Oliver Norwood and Andy Barcham. Thus – completing the Iron’s starting line-up were the front attacking pair of Bobby Grant and Chris Dagnall. This left the all outfield quintet of Andy Wright, Michael Nelson, Michael Collins, Garry Thompson and Nicky Ajose to sit on the bench for Alan Knill’s men. The game started with both sides pressing high up the pitch in attempt to pin their opponents back: and both sides will be thinking they should have done better after Barcham & Roberts repsectively crashed over and wide for the two teams early on. But in the 11th minute the Iron then – completely out the blue – took the lead in absolutely spectacular fashion. The ball was sweetly laid across to the feet of the on loan Norwood who lashed in an absolutely tub-thumping strike from close to 30 yards out, to the clear delight of himself and all the fans. His wild celebratory run showed how much his first professional league goal meant to him: and he’ll no doubt be hoping that it will have impressed the visiting Paul Scholes as well. This opened the way for a significant sustained period of Huddersfield pressure though: and the on-form Jordan Rhodes was understandably frustrated when he was only able to fire over when presented with a decent half-chance in the area for the Terriers. But as the clock ticked into the 26th minute: the away team hauled themselves level with another spectacular strike. It was very neat football from the West Yorkshire side, completed by a quick one-two on the edge of the Iron’s box: that was duelly thundered in from 25 yards from the grateful Miller. This livened up the first half which had been an engaging affair: almost moulding into a classic, but again Rhodes will have been frustrated that he could only flick wide another decent opportunity late on in the half. Then after 38 minutes – the Iron thought they’d conjured the perfect chance to re-take the lead. Dagnall was scythed down by a desperate Town defender – and referee Ilderton showed no hesitation in pointing to the spot. The same man then stepped up: but was denied by a good save from veteran keeper Bennet diving low to his right. Missing penalties always hurts – and with it not being hard enough, or near enough the corner: the keeper guessing right was enough to deny the Iron. Daggers then chased the rebound: thought the was hacked down – but the ball dropped to Grant, who could only send his effort thundering over the bar. This was extremely frustrating for the Iron, and then despite the visitors ending the half’s last few minutes on top: both sides had to be content going in at half time level. The second half once more started with plenty of zip and venom: and the on form Slocombe, (who ultimately won Man of the Match), did well to deny the big man Lee with a decent save. With the weather worsening – the game suddenly got a little bit scrappy in North Lincs: with both sides’ quality seeming to dissipate sadly. But with 20 minutes to go, both managers mixed it up a little bit – bringing on fresh legs, notably Thommo replacing Duffy for the Iron. And it seemed to have work, for only 5 minutes later: the The Iron were once more gifted another chance from just 12 yards. It was a blatant handball in the area by Peter Clarke that forced the reluctant Ilderton to give Scunny the 2nd penalty of the game, to which surely they could not miss…. Right? Wrong. It was O’Connor this time and the penalty was even worst. Barely wide of centre – Bennett once more just guessed right and was able to block away the ball. 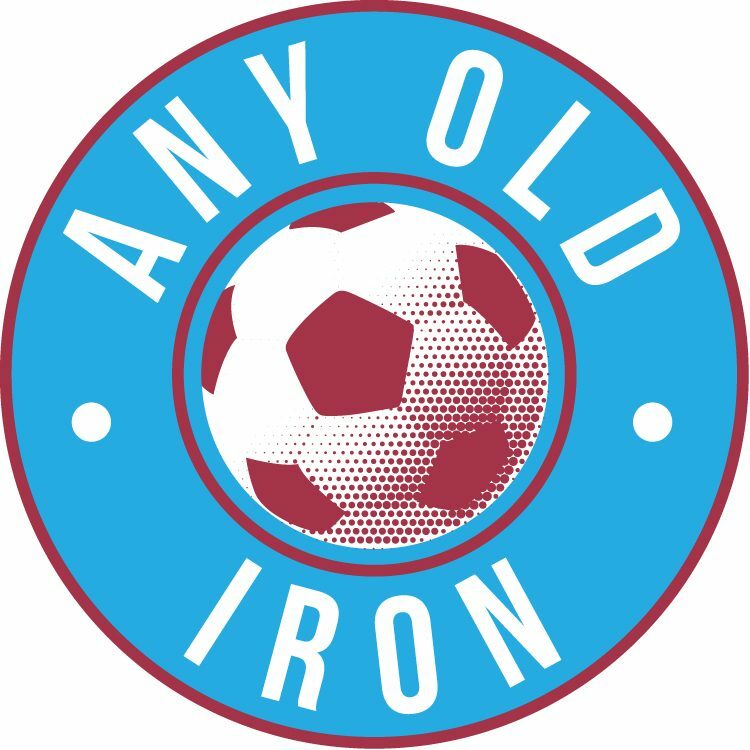 It seemed the Iron fans were having their worst fears confirmed – and that it would only be a matter of time before they paid the ultimate price for such profligacy. So with 5 minutes left, Iron fans’ heads collectively sunk into our hands as life imitated art. It was a good cross from the right to the back post – and Rhodes had done well to get free of his marker: and finally thundered home his chance on the volley to make it 2-1. Thus wild celebrations from the visiting fans and players, but their overdone celebrations were cut short as the game had yet another twist in the tail. With both sides going for it gung-ho, it was the Iron who rescued a point with barely a minute to spare. But grateful for the point nonetheless I suppose! Anyone else worried we’ll draw 9 of our next 15 games as well by any chance? Next postSlocombe for 3 on the bounce?